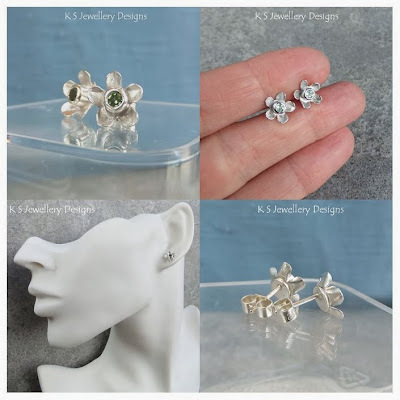 For five years as a wirework jewellery maker, I endeavoured to find lots of different ways to include flowers into my designs. This obsession has carried through to my metalwork jewellery. My flower designs are invariably simplistic and certainly not anatomically correct, however, the shapes and curves within flowers call out to me. A few years ago my garden was blooming with lots of different flowers I had grown from seed now I make them instead!